The growth and proliferation of multinational companies has both imposed new responsibilities on and offered new opportunities to, the men who represent them around the world. 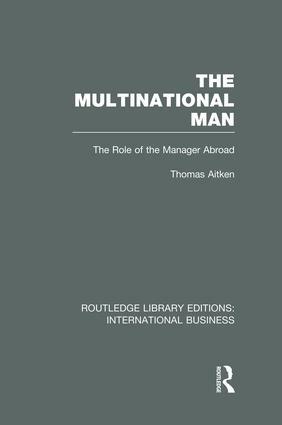 This book dissects the functional responsibilities of the manager abroad in the light of his relationships with the home office and with his local environment, and explores the consequences of various types of relationships. The discussion is a practical one drawing heavily on a wealth of experience and actual case studies. Administration – Centralize or Decentralize?